[VG20] Vagabond Plus: a 4 berths able cruiser, two keel versions. 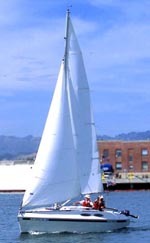 [VG23] Offshore and coastal 23' fast cruiser with accommodations for four. Shallow draft, trailerable, easy to build.